The previous text of Jang Sung-taek, which the author wrote in the beginning of December this year, was full of conservative assumptions, but a few days have passed, and the “i’s” have been dotted on this issue very clearly. On December 9, the Korean Central News Agency (KCNA) has published material about the enlarged meeting of the Politburo of the Central Committee of the WPK (executives of the WPK Central Committee, the provincial Party committees and bodies of the armed forces were present as observers), at which the “personal case” of Jang Sung-taek, who was accused of creating an anti-party group and many other crimes, was considered. If we cut through the soviet-like rhetoric of the 1930s and expressions like “thrice damned traitor”, it is clear that the charges against Jang are divided into three groups. The first one is the creation of cliques, “Jang was desperately seeking to form a faction in the party by creating illusions about himself and got hold over those who were weak in faith, and flatterers …” At that “Jang and his followers did not genuinely accept the line and policy of the party… did not hesitate to commit such counterrevolutionary acts as disobeying the orders of the Supreme Commander of the Korean People’s Army”. What the essence of those orders was, they did not say, however, as well as which party decisions they “deliberately distorted and did not perform”. Jang seriously hindered economic affairs of the nation and improvement of the living standards of the people, in violation of the core principles of the government and the principle of responsibility of the Cabinet of Ministers contained in the LPK. Jang’s grouping insidiously took control of the sectors and organizations that play an important role in economic development and improving people’s livelihood – to make it impossible for economic management bodies, including the Cabinet, to fulfil their roles. The third block of charges – “debauchery”: “Under the influence of the capitalist lifestyle, Jang committed violations and corruption and led a dissolute and depraved life”. Outcome of this event was natural – Jang was removed from all posts, stripped of all awards, even earlier erased from newsreels and on the spot taken into custody in the best traditions of propaganda film about the unmasking of the enemy of the people. On December 13, 2013, Jang was executed, and the text of KCNA dedicated to this added details on each of the three groups of charges. From the perspective of creating a clique, it is not so important that Jang “criminally ordered to put in the corner a stele with the carved letter of Kim Jong-un” or demanded that subordinates called him “Comrade Number 1”. Much more interesting are the accusations that Jang turned the structure controlled by him into an untouchable office – with this, often returning to power those who had once been removed. In relation to the stories about corruption, the author was interested in the administrative confrontation in which Jang’s agency itself tried to manage the economy to bypass the Cabinet of Ministers: a war was waged by administrative methods and for money earning sources. This includes attempts to cash in on the construction work in the capital city, through schemes very similar to Russian ones, mentions of the manipulation of precious metals, including the establishment of a chain of structures for their sales; voluntarism in the sale of natural resources, which led to debts, which had to be covered with land. As for the debauchery, then, if he really managed to spend 4.6 million euros in the casino at a time, such embezzlement is punishable by death, not only in Korea but also in China, for example. Such an event caused a wave of comments and speculations. 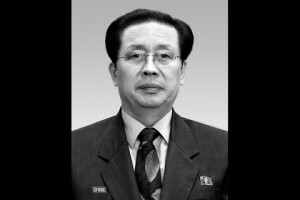 Japanese media made him the main initiator of reforms and criticism of the Pyongyang regime – it turned out that as Deputy Chairman of the State Defence Committee, Jang Sung-taek allegedly opposed the demonstrative launches of long-range ballistic missiles and blockade of joint (with South Korea) industrial complex in Kaesong. In addition, he advocated greater cooperation with foreign countries and attraction of foreign capital. At that, the mass consciousness forgets that until recently, Jang was called the “grey eminence” of the regime (he was blamed for all the sins of the DPRK) and its most corrupt representative. Analysts called him both a reformer and supporter of the “strict state control and increased militarization”. So the question “What happened to Jang Sung-taek?” can be considered closed. However, there is another question: “Why did Kim Jong-un needed such a “public flogging” of the second person in the country. Russian experts, not specializing in the Korean Studies, began remembering the arrest of Lavrentiy Beria (chief of the Soviet security and secret police apparatus under Joseph Stalin) or the “destruction of Lenin’s guard by Stalin”, although these two analogies are not quite correct. The message seems clear: we punish all seriously delinquent, regardless of his or her past achievements and grades, and do this in a way to teach everyone. However, this punishment has something new. Previously a person who fell in disgrace could be removed from his position more or less quietly, but here, the man was not just accused of crimes, but for the first time since the 1950s, the words “anti-party group” were uttered, not to mention the absolutely devastating rhetoric of newspaper articles. This is a very important feature. That is why the message of Kim Jong-un can be regarded as an indicator of several trends, and, most likely, each of them has contributed to the reasons for Jang’s removal. Only thing unclear is to what extent, since (as with the causes of the hunger in 1995-97) each expert will determine the priority reason for the extent of his/her awareness and engagement. The first sign is a new style of governing of Kim Jong-un, reflecting his personality traits. The “Young General” distinguished himself as a leader capable of cutting the Gordian Knot – to react swiftly and harshly. However, even with such rigidity, the liquidation of Jang and his group should not so much resemble a show. And, if subsequent events show that Kim Jong-un has a weakness for such ostentatious actions, this is not a good trait for a political leader. Moreover, in light of these characteristics of his personality, we may have, unfortunately, to consider further innuendoes of the South Korean propaganda in a style of “execution by mortar accompaniment of a brass band” as potentially having some grounds. Moreover, in this context, such a ceremony is a message to all potential factionalists. Any attempt to resist the monolithic unity of the party under the leadership of Kim Jong-un and to “dream different dreams” will be punished to the fullest extent of the law, as extraordinary crimes for which there will be no mercy to anyone. However, we should pay attention to this fact, that despite the accusations of anti-party activities, the texts almost do not contain guidance on who else was in Jang’s clique. Only some aspects in the spirit of Bukharin’s (Soviet politician who came to oppose a large number of Stalin’s policies and was one of Stalin’s most prominent victims during the “Moscow Trials”) “get rich” remind of the ideological differences. This is also not very good – as it is done in case of a need to search for scapegoats to blame everyone who is not liked. Possibly Jang really was against the appointment of the young Kim, mentioned his youth and inexperience, and aimed from grey eminences to the Prime Minister. However, I do not completely believe the fact that Jang was preparing a coup – he could have been forced to confess, even if a planned coup (to destroy the economy, stir up the people, lure the army, using units being under the control of members of his group) looks sane. On the other hand, it is generally known, that Jang was trying to take control of the armed forces and had conflict on this matter with the military leadership. Another interesting detail is that, accusing Jang, the authorities do not equate his behaviour with the policy of reforms. Jang was only “a pretend reformer and was going to wear this mask in order that, after seizing power, he would look favourably in the eyes of the international community”. The third aspect suggests that the removal of Jang is a sign of an emergency, related not so much to the situation in the party, but to the state of the command-administrative system in the first place – in the field of corruption. In this context, the charge in the anti-party activity is not so far-fetched, but rather aimed to demonstrate that this type of misconduct will now be perceived as anti-party and anti-state crimes, at which no one will turn a blind eye. It is therefore very interesting what was imputed to Jang Sung-taek in addition to the charges in the creation of factions and domestic debauchery. The weakening of the party’s grip over the security bodies can be interpreted both as a desire to stop tyranny, and as creating favours for corruptionists, whom he attracted to his staff. Wording about involvement in the financial sector, depending on the political views, can be interpreted either as an indication that Jang failed some reforms or as an indication of corruption schemes involving a large number of people capable of inflicting serious damage to the economy of the country. In particular, the situation with the underestimation of export prices in exchange for “kickbacks” and the situation with construction. Here we can recall the accusations against some Russian politicians that allegedly squandered the country’s resources, and the set of charges against the former Ukrainian Prime Minister Yulia Tymoshenko, who also allegedly concluded deals obviously disadvantageous for the country. Interesting is the position of the University teacher Takushoku Hidesi Takesada, outlined by him in an interview with “Al-NHK”: “Jang Sung-taek played an important role in the sale of North Korean natural resources to China. He was engaged in trade on the basis of personal judgment, guided by archaic views. Therefore, Jang Sung-taek’s removal may bring foreign policy and trade in North Korea to global standards”. According to Hidesi Takesada, the regime of Kim Jong-un will strengthen control over all types of corruption. We should add that in the 2000s, Jang Sung-taek and his wife were called one of the richest people in the DPRK, who owned de facto many businesses and controlled the flow of imports into the country. It has been noted that, according to the CIA, on their bank accounts in Switzerland there is about $4 billion. In 2011, Jang Sung-taek took the first line in the list of people who were subject to EU sanctions against North Korea, providing for the freezing of assets. It is clear that those for whom North Korea is the last island of the socialist spirit, the ideal reflection of the image of the USSR, may be unpleasantly surprised by the news that in the North Korea there is corruption and that it is very developed. As a serious problem, it has been known since 1990s, and the development of a “parallel economy” in which, for example, shuttle traders paid off officials not to go to work where they were the officially registered, only fuelled this phenomenon. In his memoirs, Kang Chol Hwan, dedicated to North Korea after the crisis of 1995-1997, we often read about the bribes to the authorities as the usual form of communication with them. In 1998, during one of the closed meetings with representatives of “Chongryon” (pro-North Korean community of Koreans of Japan) the late Kim Jong Il said that “it is enough to give a couple of hundred dollars, and no one can resist, neither blue straps nor red” (that is neither the army nor the security services). He also mentioned the grand fraud associated with steel mill in Hwanghae. Then, on the background of the crisis caused by the floods, it was impossible to provide the plant with electricity and it had to be temporarily stopped. Taking advantage of this, “some rascals” conspired with the plant’s management and bribed Party officials and security services, and then started dismantling of the equipment and selling it as scrap to China, having plundered half of the plant in less than a year. For a radical solution to the situation, the plant was surrounded by the military who reestablished order. For a perfect dystopian, the picture is atypical, to put it mildly, and indicates a very deep systemic crisis. To create a gang of such magnitude, not only a considerable amount of effort and resources is required, but also certain attitudes in society. Moreover, if this happened 15 years ago, you can imagine how the situation could have worsened by our time. Therefore, the situation in which an abscess must urgently be opened, despite possible complications, is not less likely than protrusion into the foreground of intraparty squabbles or character traits of Kim Jong-un. How far-sighted was this move? After all, Kim Jong-un thus clearly showed that the game has changed. And many people, including the author, were somewhat surprised, suggesting that Kim Jong-un will solve the problem of staff changes in a less radical way. Of course, usually the “honoured dignitaries”, who can neither just be fired for incompetence (too many merits in the past), or moved to a sinecure deprived of influence (having too many ambitions they will resist), are removed using combing of this kind, – the 1937 situation with “Polish-Japanese spies” in the Soviet Union is no exception. However, in terms of transfer of power from father to son, the father’s old colleagues (and in the case of Jang even family members) are in their positions because of the wisdom and authority of the former ruler, and their open removal questions this authority. Not accidentally, Kim Jong Il solved this problem by creating parallel power structures, and the entourage of his father was either “allowed to leave” as a result of natural death, or removed without noise and loud accusations. However, we should remember, that Kim Jong Il was prepared for power for nearly 30 years, during which he had the opportunity to create and grow his own staff. In the case of Kim Jong-un, the preparation time was significantly shorter, and the age difference between him and the other leaders is much larger. What is this decision fraught with? First, Kim has radically changed the rules of the game and showed the elite that no one can be safe. If before the corruptionists might have thought in the past that the government “did not betray its people”, and for their sins they could be subjected to mere disgrace, but not execution, they can now think about what they should fear more – the risks associated with the change of regime or the active head of the country. Open change of the rules of the game can start blurring support for the government. Second, the removed people must be replaced with specialists of at least equal competence and equal number. If Kim Jong-un has such a reserve is a good question, as if the basic quality of the new appointees is youth and loyalty, the quality of decision making can be greatly reduced and lead to a new round of problems, some of which we have considered long ago. Third, although Jang has never been called the head of the pro-China lobby, it is known that he was in charge of all trade with China. He was the author of the Hvangymphen Project – a joint economic zone with China, and the “one country” in which Jang took drugs and squandered currency, was likely China. Therefore, it is unclear what will be Beijing’s reaction to such a public execution of a trusted partner. Therefore, this act of Kim Jong-un can be called quite risky, although it seems to the author that the main reason lies in the trends associated with the development of the “parallel economy”. On the one hand, the new course of the young leader presupposes legalization of a certain number of its elements, on the other – the parallel economy and related informal structures may take precedence over the existing system, and finally leave only a façade of it. In this case, we are not talking about greater democracy and reforms, but rather the opposite – North Korea can really roll towards the state of a pariah country. However, this quite serious topic about the conditions under which North Korea might “fall into bananization” should be a theme of a separate article. In the meantime, we note that the new Kim is actively pushing for self-rule, and just as Korea of Kim Jong Il was different from Korea of Kim Il Sung, the new look of North Korea will be significantly different from the previous. Time will show how this affects the political stability and economic successes of the country.